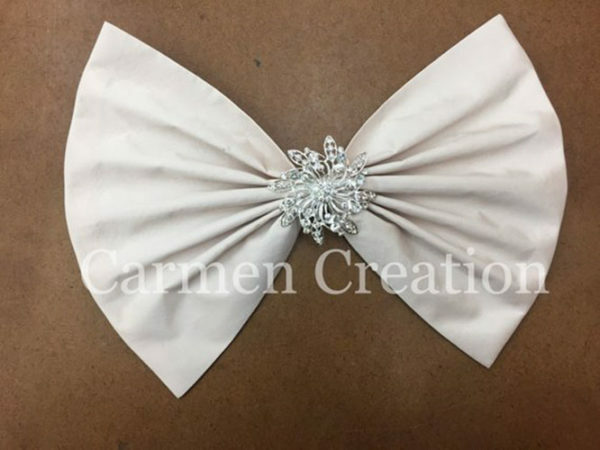 Our Bows (measure roughly 12.5×9.5) are made to match our Flower Girl Dresses. This item is Blush Pink Taffetta. Decorate just about anything with this lovely item. Ships in 1-3 days.